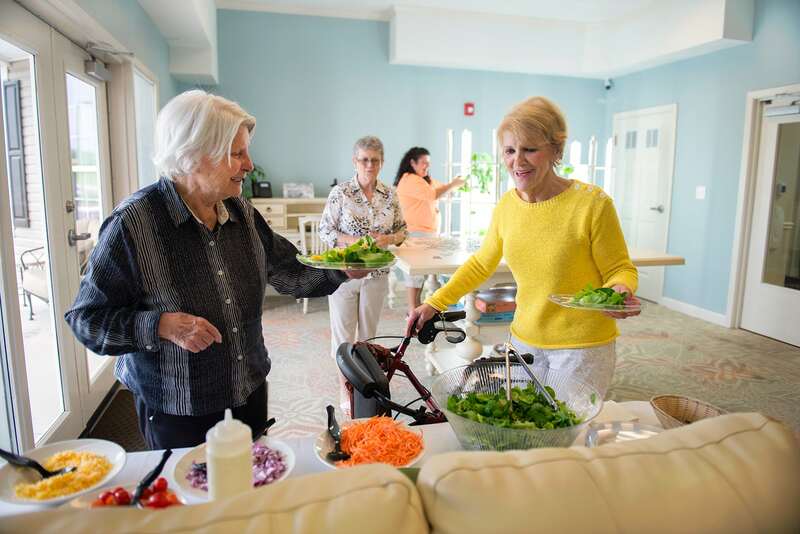 By working closely with expert dieticians to craft a varied and nutritious menu, our Runk & Pratt culinary teams create savory selections that are sure to please the palette and nourish the body. 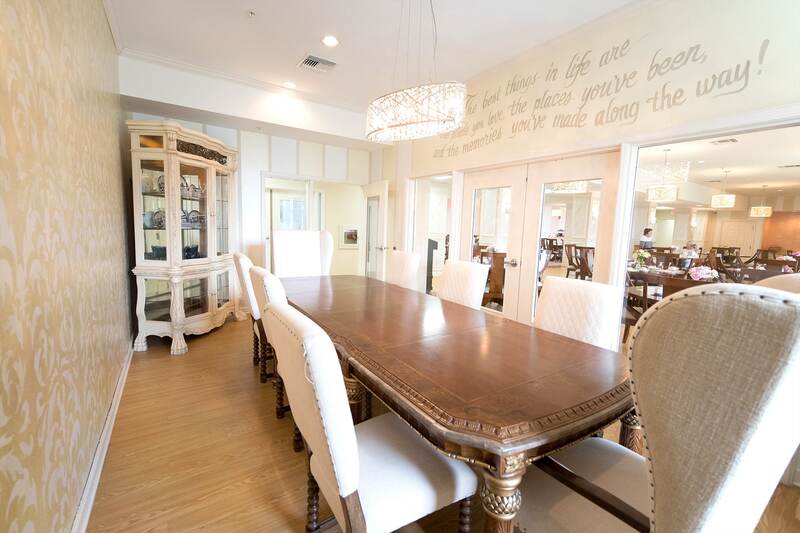 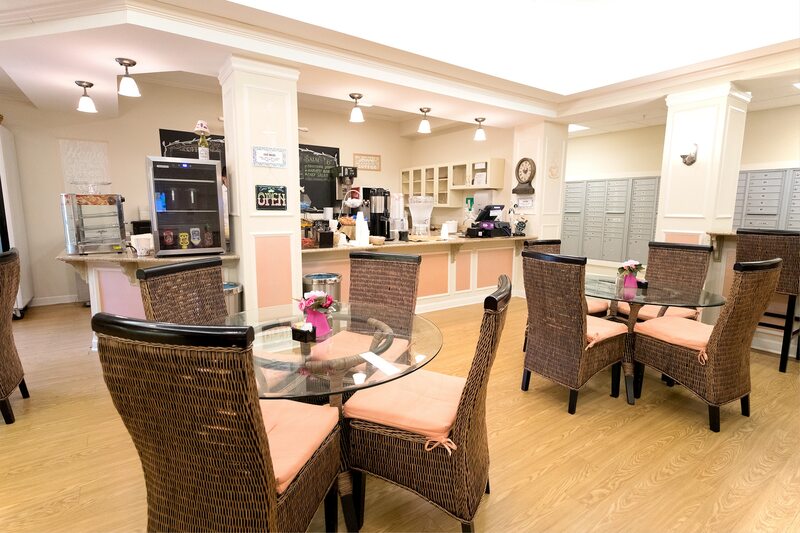 Our dining rooms are designed to be open and inviting, and provide a common space for residents to engage in community over a wholesome meal. 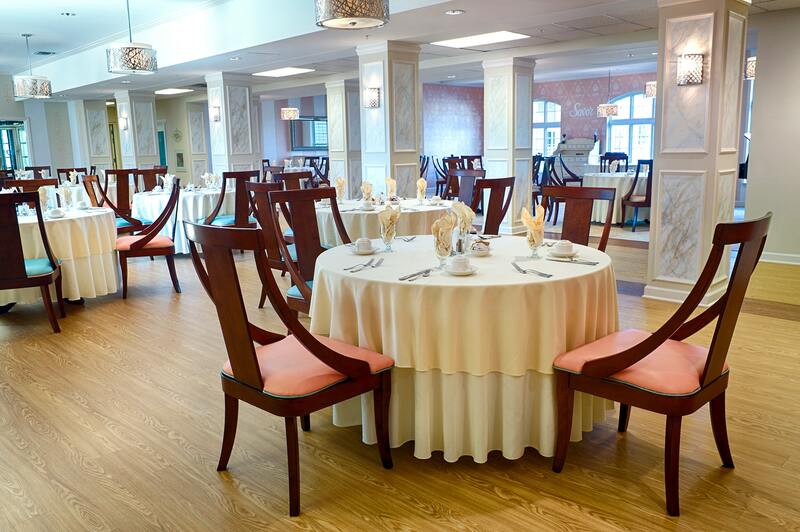 Our sister company, Entwined Events, adds an additional layer of flavor and sophistication with a team of incredibly talented chefs who provide gourmet meals for special events. 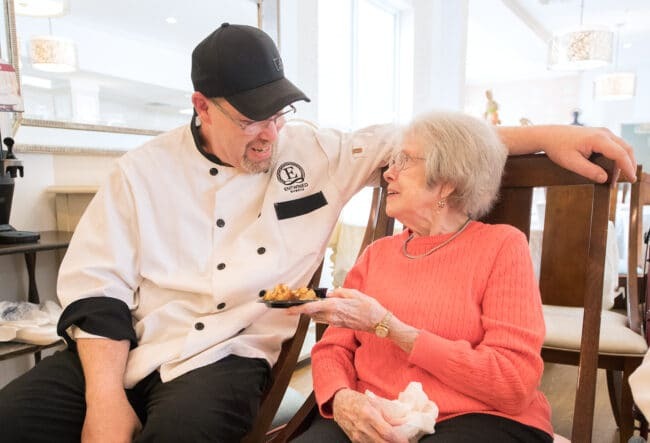 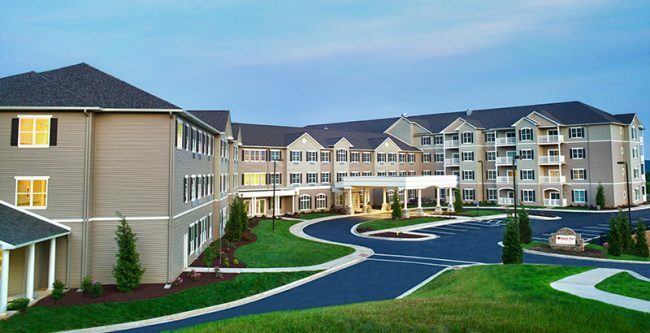 Our wholesome and tasty menu options reflects the respect that we show our residents, with love and care infused into each bite. 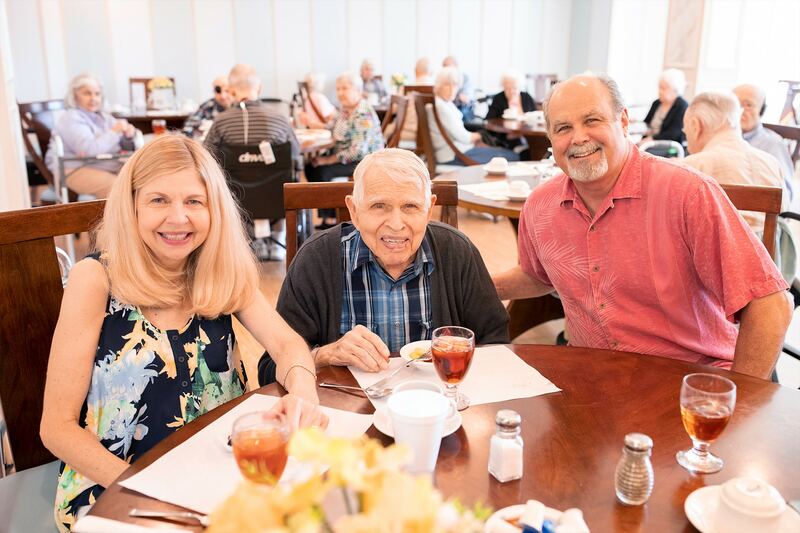 At Runk & Pratt we make sure we are on the cutting edge of innovative advancements in healthy and active living practices for seniors. 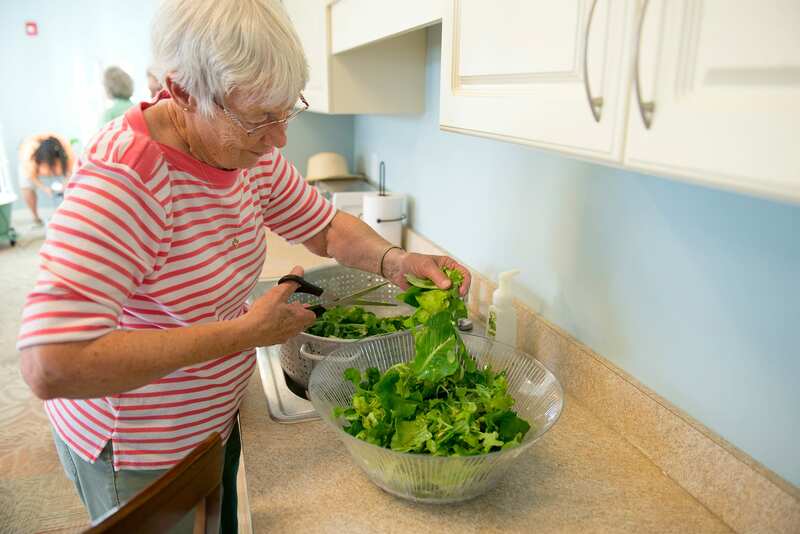 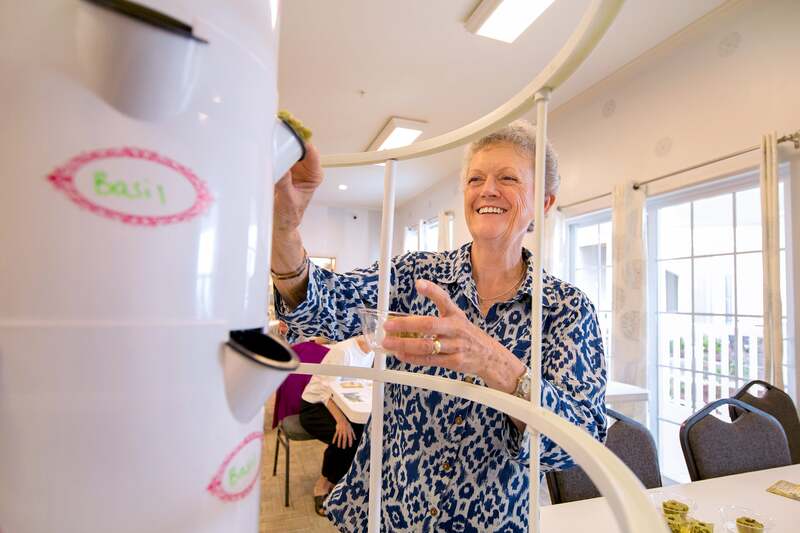 Hydroponic tower gardens are a fresh take on farming that allows seniors to engage in actively planting, tending, and harvesting a garden indoors without the strain of traditional gardening. 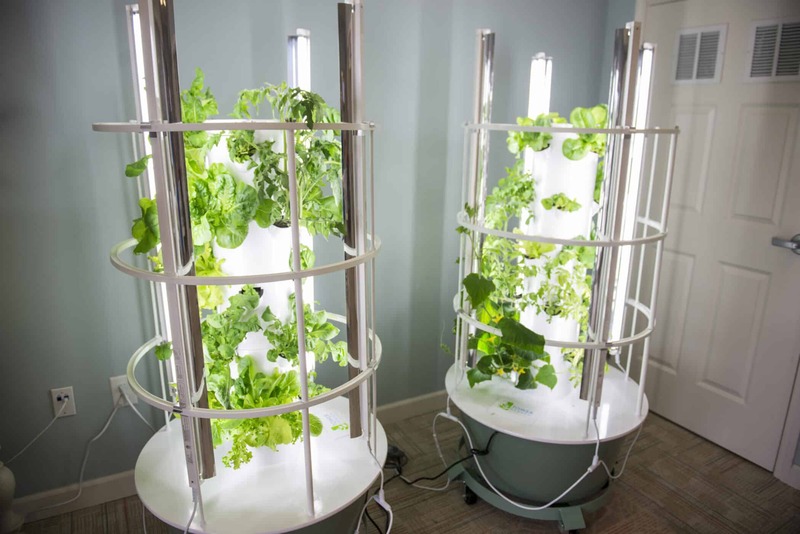 These quick-growing gardens provide produce that is more nutritious for the body and more efficient to grow than average over the counter fruits and vegetables. 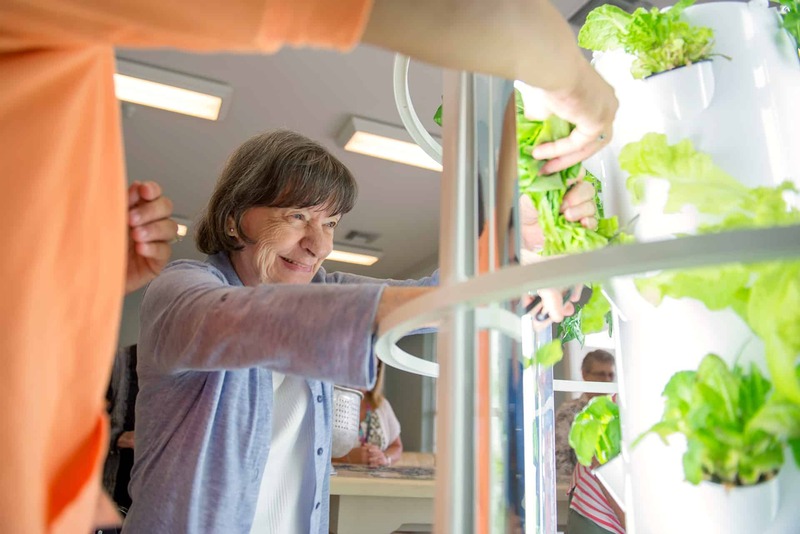 Our “Garden to Table” program brings healthy and active living together. 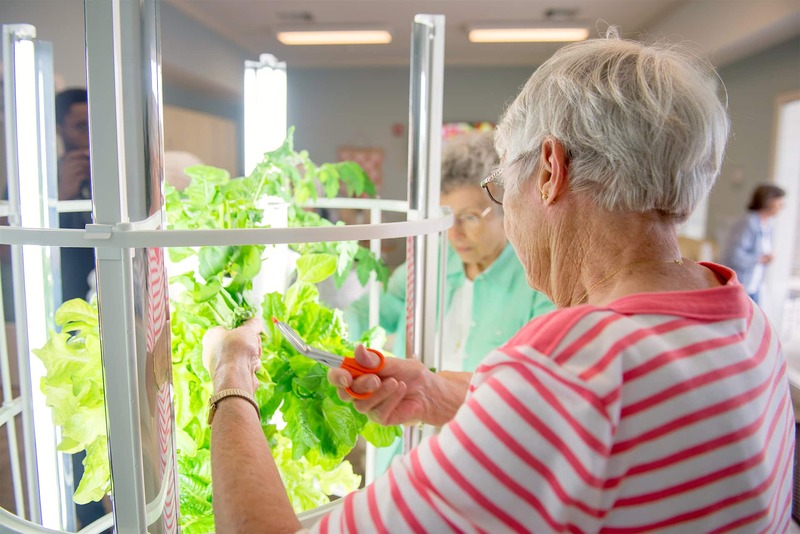 Liberty Ridge residents plant, tend, and harvest their indoor tower garden.